Candy was an inquisitive young squirrel. She would spend most of her days outside playing, exploring, and collecting acorns. Yep that’s right. Now we all know squirrels love acorns and gather them as soon as they start to ripen and fall from the trees. Squirrels collect them and store them in their tree houses for the long cold winters that will come. Although, this is not why Candy collects them. She collects them because she likes them. She likes how they look. The acorns couldn’t have cracks or missing their shell or even a part of it. The acorns had to be jut right! Candy would collect them as soon as she could start. She would hide them in biug bunches in secret places, that no one else would look for them. It took her all Spring, Summer and part of the Fall to find just the right right and special hiding places. The one game she didn’t really like was the tree climbing races. Abby didn’t like high places. They scared her. This didn’t make sense because she had to climb the family tree house, and their door was up pretty high up, but this never bothered her because she knew her family was always close and it was home. Plus her older sister, Candy, was always right there with her when it was time to go home each day. Their home was always nice inside. It was warm and got sunlight through the doorway and two windows further down the hallway. The living room was on the left side of the door and the kitchen was to the right. The bedrooms were down the hallway. Abby’s parents room was first on the left, then hers was next on the left and Candy’s was on the right not far from the back door. There was a big porch outside the back door on a big tree branch. Sunshine and a warm breeze woke Candy up the next morning. It was time to get moving, she had things to accomplish today. Today would be her first scouting of the old hiding areas, plus new ones she knew she could find. Candy always left acorns in each of her old hiding places, this was to see if anyone else had found it and taken the acorns. This way she knew not to use that spot again. Candy lifted her nose and smelled acorn pancakes, she just loved pancakes! She went to see if Abby was up yet and ready for breakfast. Abby was just finishing up washing when Candy stuck her head into her room. Abby took a long whiff and down the hallway she went, trying to beat Candy as usual, but as usual she made it just before Abby. Mom was at the stove finishing the pancakes, Dad was reading the local paper,The Woods Press. He liked to keep updated on what was happening in the community. Mom brought the platter of pancakes to the table and took her seat. Dad closed his paper and put it aside. Then he said grace over their meal and asked for blessings on the family. Everyone dug into their pancakes to soften their hunger, and mom asked what everyone was doing today. Dad of course was off to work. His job was very important. He was the overseer of all acorns and their readiness for harvesting. Mom was going to visit with her Women’s Squirrel Aid group. They had a few projects to work on for later in the year and holidays. They helped out families in need. Abby planned on hanging out with the younger squirrels to play and practice, especially the tree races. Candy had decided to go exploring, so she told her Mon and dad about her plan to go exploring. She could go as long as she was home by supper time. Candy finished her breakfast and took off to her room to get the supplies she would need. Today is a Special day! My Daughter Jenny, turns ** today!!! HAPPY BIRTHDAY!!!! I sent her messages and I hope the rest of the family did the same. I reminded them. LOL! So yes it’s still cold here today and we are supposed to get freezing rain and snow this evening but I bet it will get here early. It always does. I am heading to my sister’s for a while today to help out with laundry and Christmas things. Shhh!!! Don’t tell. See I was right, it started freezing rain around 3 pm or so. Way earlier than they had predicted. I had to leave part of my laundry and skedaddle towards home. Man was it slippery. It took me 20 mins to get 1/2 mile. Did a little fishtailing but nothing huge. Had to just pump the breaks real slow and in short bursts to slow down. Then getting going again was interesting. I live on top of a hill and then on an upgrade to get onto my street and into my parking lot. Sheesh! I just slowing gave the gas a nudge until my tires spun enough to get traction then moved a little and repeat process until I made it to my spot. Definitely interesting. Well home and walked dog, brrr, then came in and snuggled down with e reader and blanket, dog and tv. Oh can’t forget the nice hot tea, and a few cookies!! Hope your day went as good or better than mine depending on where your at. Take care, be safe out there. Until next time. P.S. : Oh forgot to let you know, my first book, THE SECRET ACORNS, is done. Now comes all the last minute edits and re-reads for corrections, editing. Yay, but someones got to do it. I am taking it to word on Windows. I have some people helping me proofread and story edit. So looking forward to getting this one put to bed. I have to get my other pages up and running for sure now. It’s cold, windy and can I just say blooming cold outside!!! Had to bundle myself and put Ebony’s new coat on her before venturing out for her morning walk! She just loves her new coat. Prances around and runs in circles. Yes, she is on a leash, so I sometimes feel that I am exercising a horse not a dog! Ebony is quite the entertainer at times, I don’t think she can help it. My sister is supposed to make an appearance sometime today. That will get her all excited for sure. EB is such a people dog, never meets a stranger, she likes them all. Little stinker begs to be petted by everyone! I just wanted to pop in and say hello. Today I am hopefully work on getting a second webpage set up and a mailing list started, but frustration is not my forte! Lol! Have a great day and Blessed Be to all! Until another time. So today I have been doing some exciting work on my book “THE SECRET ACORNS”, it’s good to have some one else’s eyes on the prize as the saying goes!!! She found many and then I went back and re-read the whole story and found some more. Not just in misspells but also in sentence structure. I am so glad I found them!!! It would nice to have a very well written book to actually have published one of these days. Soon I hope. There are plans to have at least one if not two more in this series. So keep your fingers crossed for me! I hope you enjoy the book as much as I am having fun writing it!!! Until another day. Have great days and Blessed Be to all of you!! Thank you clock. My wonderful little dog Ebony has finally wore me out playing and she is in her kennel bed. So now it’s mom’s turn for peace and quiet and time to try and figure out how to work this site a little better! Heaven help me, tech savy I am not!! Abby my granddaughter and my Ebony! My Schnorky!!! Wow! Been busy with Thanksgiving and now Christmas is coming soon!!! Got tree and inside decorations all set up. Outside decorations and tree are up. All my chimes are down and plants are taken care of, except the two flower boxes I have to enclose in plastic trash bags to keep them from busting. My sister and I have gotten recipes collected for cookies and such to make. Dinner is pretty well figured out, I think??? Writing on seeing who of family will be in when and tretreying not to turn into blocks of frozen human popsicle as we go!! !I hope that you all are doing great with getting ready for the upcoming Holidays!!!!! God Bless!! Blessed Be!!! Until the next time HAVE A FANTASTIC DAY !!!!!!!!! I am an eclectic in everything I do. Be it reading books, music, furniture styles, colors, clothes, friends, music, etc!!! OK, so family can’t do much about, but I will tell you this; all my family are bits and pieces of me. OMG, what does that make them? LMAO I LOVE THEM ALL ALWAYS!!!! 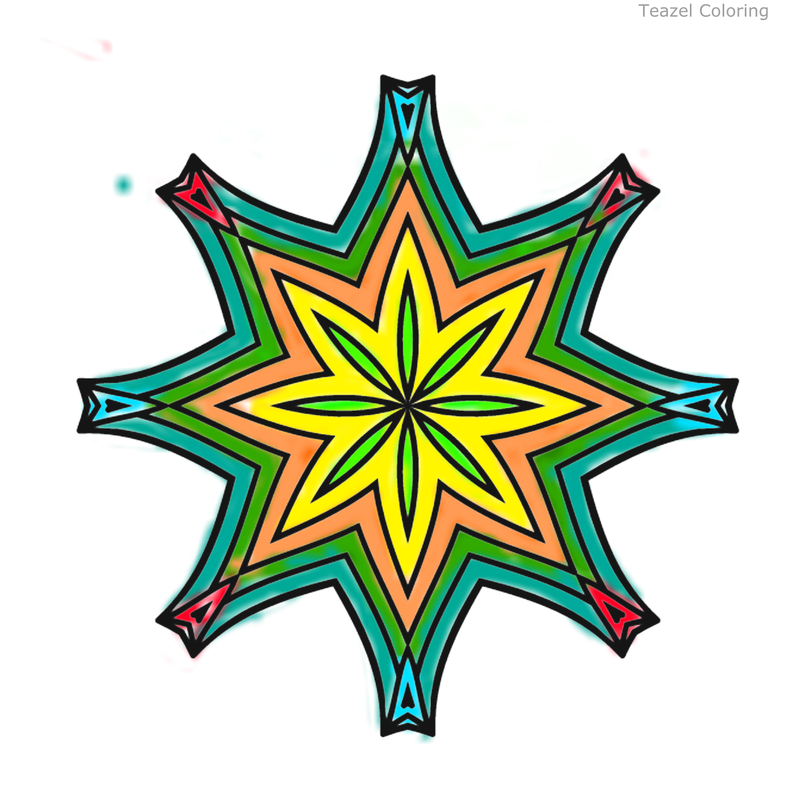 Yes I love coloring artwork for relaxation. Will post more as I go along. Anyone interested they sell for $2.00 each. Now onward and upward I hope! I have been making up stories for years and writing also. Yes, I even went so far as sending works to publishers, you know the ones with big names we all know? Yeah out of 12 I received 2 replies. “We are not looking for new material or we are not interested at this time”. You know what I’m talking about. REJECTION CITY!!!!!!! So I quit writing, put pencils, paper and all my copies in a bos in storage. Now years latter, my kids are grown with families of their own or starting their own lives. I am divorced living on my own with time on my hands. I read, no seriously, I read all the time, constantly. All different genres and I love it. Me is (LOL) a beta reader for many authors, on many street teams, even a polisher for a great author!! So now I am thinking that if this many authors are doing this, then damnit why can’t I?? So I started asking questions, straight up forward questions that might, just Might get me motivated to try again. I will be starting another book soon! This one will be about the little sister Abby from my first book! I hope you visit every now and then to keep a check on little Abby the squirrel and her Secret! !